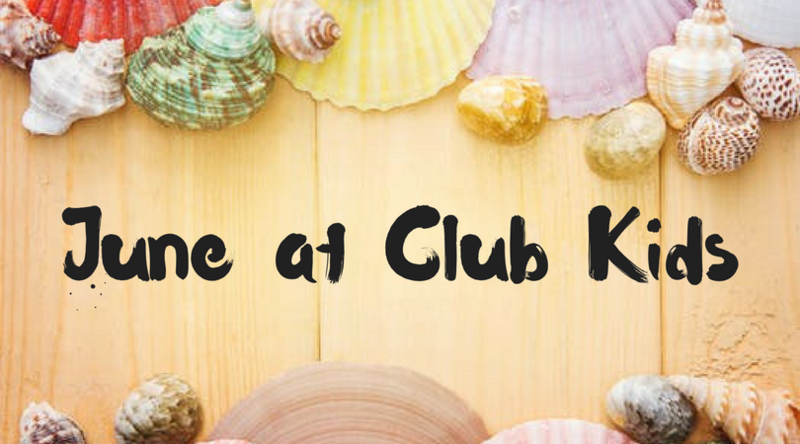 SUMMER IS KICKING OFF THIS WEEK AT CLUB KIDS! Bring the kids by for some fun summer themed crafts, workouts, games, sensory play, books and lots more! We can't wait to get the long, sunny, no-school days of summer started. Remember: Even your school-aged kids can join in on the fun! Children ages 16 months to 8 years old can come during our regular hours. Infant care is Monday, Wednesday and Friday from 1:15-3:15pm, and we can only take ages 6 weeks through 3 years old during those few special hours. We hope to see you all this summer! At club kids this week we are celebrating our dear old dads! We will have great father’s day crafts (also known as gifts) like ties, fishing poles, saws & more. We will also have our usual work outs & exercises, along with some great books about dads. Dad, you deserve a kid free workout for 2 hours, bring the kids by club kids and treat yourself. Happy Father’s day to all our dads out there! Bubbles! Bubbles! And more BUBBLES! One of our favorite activities at Club Kids is blowing, popping, catching & playing with bubbles. This week we are exploring the wonderful world of bubbles! Bring the little ones for MANY bubble-themed crafts & exercises. We will also be making our own bubbles on the sensory table and, of course, will be blowing and popping LOTS of bubbles all week long. So POP on by for a week of fun! How many planets can you name? How fast can you take off in the “shuttle launch race”? How bright will you paint your sun? Can you put together the planet puzzle on your own? The kids that come by Club Kids this week will find out the answers to these questions plus have lots more fun! We are on a SPACE ADVENTURE and have a great deal of fun planned. We can’t wait to get this adventure started!